New Zealand’s national symbol is in decline. Our laboratory balances are helping to ensure that kiwi numbers increase. Operation Nest Egg (O.N.E.) 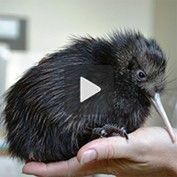 collects and incubates kiwi eggs so chicks are protected until they are big enough to fight off predators. Sweet but no sugar please, plus long-lasting taste and the right consistency. To create perfect chewing gum, you need butyl rubber, flavorings, sweeteners, and the necessary expertise. Products from METTLER TOLEDO are also a must. Within a matter of four years, the first helicopter rolled off Marenco Swisshelicopter AG's production line. Weighing technology is helping to keep its operating costs to a minimum. Anyone ordering beer in a restaurant these days is spoiled for choice. All over the world breweries produce countless varieties of the amber nectar - from classic lagers to alcohol-free variations, with a whole array of special beers to satisfy every taste. To ensure the quality of their beers, many producers use METTLER TOLEDO sensors. Precision balances are often used by private hobbyists to weigh beetle larvae. This may sound very strange: First of all what hobbyist is involved with beetles, and what beetles are we talking about here? In 1993, brothers Daniel and Markus Freitag made their first bag from used truck tarpaulins. Since then, Freitag has become an urban fashion label in Switzerland and beyond, and now produces about 400,000 bags and accessories annually. An essential aid in their work is a special METTLER TOLEDO scale. Zoo Zurich uses a tailor-made weighing platform from METTLER TOLEDO to monitor their elephants' weight. The scale has already passed the crucial test, as all the animals have already been weighed. Despite this, the animals remain a little suspicious when the plate over the weighing cells moves a couple of millimeters. In 1991, tourists stumbled on one of the most important archeological discoveries of our time some 3,200 meters above sea level: Ötzi the Iceman. Since his discovery, the 5,000 year-old witness from the Copper Age has been the object of research for scientists throughout the world. This has been made possible by a clever refrigeration and preservation system linked to weighing technology from METTLER TOLEDO. Top chef, Max Eichmann, serves French cuisine with molecular accents in his restaurant in Switzerland. One of his many triumphs is a fruit juice caviar. To prepare this delicacy, he has been putting his trust in multi-channel pipettes from METTLER TOLEDO for over a decade now. Get your sneakers on and go! Running is one of the healthiest sports of all. Despite the trend in recent years toward running barefoot, good shoes are still indispensable for most runners. To ensure their quality, METTLER TOLEDO products are used. Weighing two tonnes is nothing unusual for heavy load industrial scales from METTLER TOLEDO. However, their use in Werribee Open Range Zoo in Australia is slightly more out of the ordinary. The zoo keeps its animals on a strict diet and uses the scales to measure their weight. Scales are used to determine the weight of an aircraft. But that is not all. Bertrand Piccard's solar-powered aircraft and a 270-ton Airbus have something in common: they both need scales to achieve stable, balanced flight. Have you sucked on a throat lozenge today? It could have been made by Ricola, the Swiss brand whose secret recipe creates lozenges with the perfect water content. Lives are saved in operating rooms. But mistakes can also be made that put the patient's life at risk. During the 28 million surgical procedures done in the United States each year, a total of 1,500 sponges or instruments are left inside patients. As rarely as this happens, the more life-threatening are those consequences that affect the patient. The two Dutch University clinics, Erasmus MC in Rotterdam and Maastricht, implement prevention and for their patients' safety, rely on METTLER-TOLEDO XS precision balances. We took a trip to the circus to establish just how well our products perform under harsh conditions. So just how precise was the balance’s weighing results during the elephant test? Take a look at the test result video now..
Around 400,000 people and 20,000 companies and universities worldwide supported the Apollo program at its height. Among them was Mettler Instrument Corporation of Greifensee near Zurich.